The Road Ranger Blog: More from Rocklea. 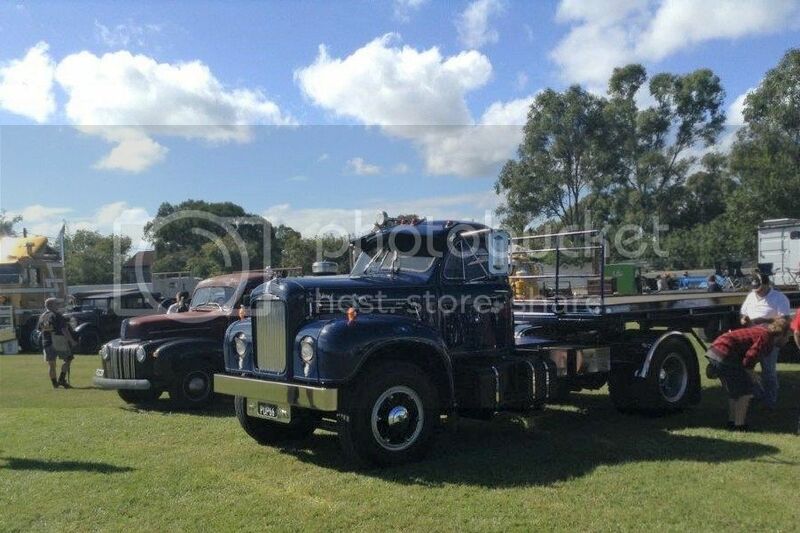 The rest of Paul's shots from the Rocklea Truck Show. 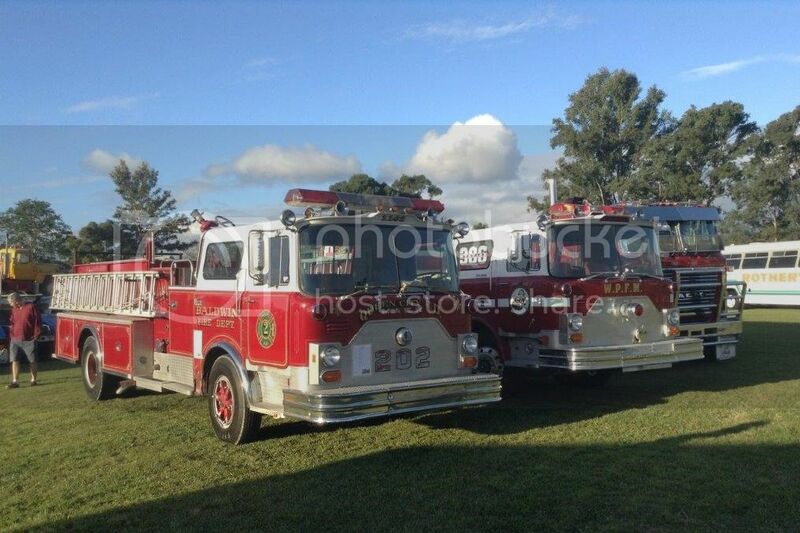 A couple of Mack CF fire trucks and a Ultra-liner. 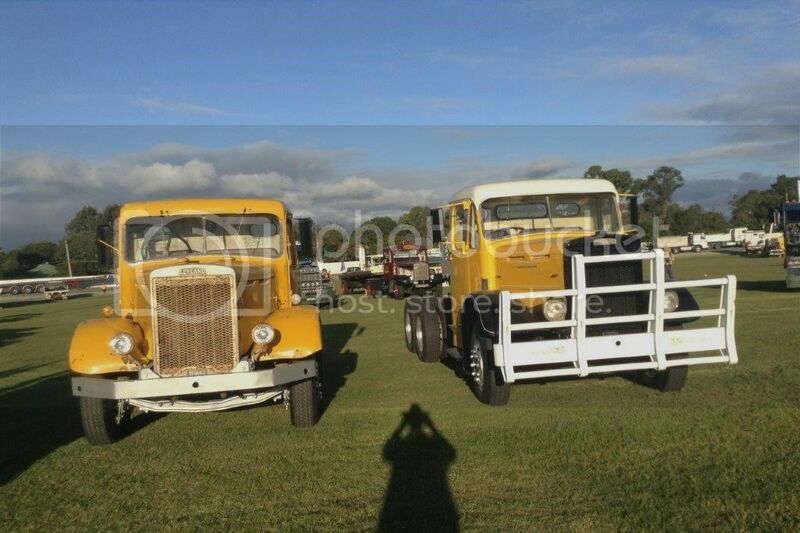 Late 30s or early 40s AEC. I can't quite read the model name. Majestic, Mercury or something else I haven't thought of. One of those big fronted Americans that I like. 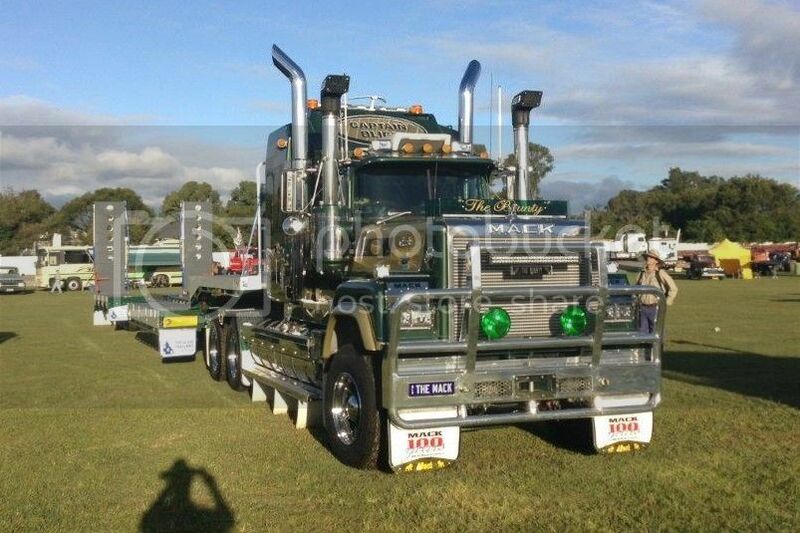 Mack Super-liner with long range tanks, bull-bar, twin intake and exhaust stacks and a large sleeper box. Paul's silhouette, with his stetson on, also visible in the picture. Mack's B series was a popular truck in its day. Its rounded profile and sloping two piece windshield mimicked cars of the period. This tandem drive example has many extras. 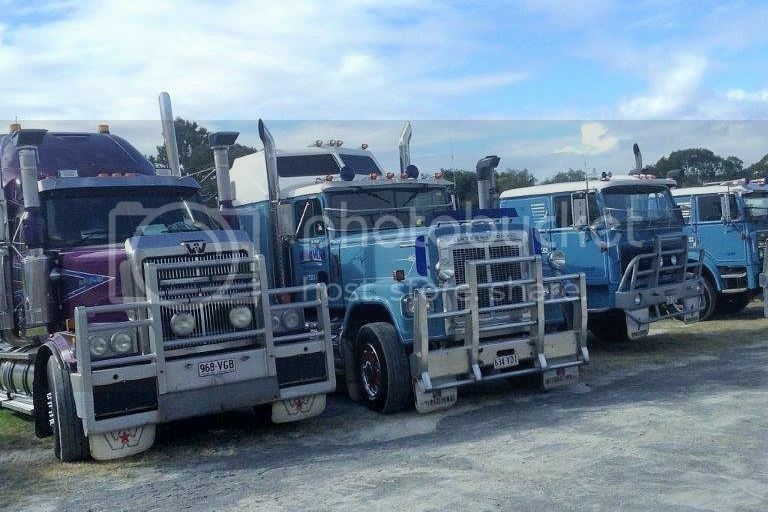 Western Star, International, T-Line Internationals with the extended cab which were usually marketed as Atkinsons. I assume the Inter second from left is a Transtar. 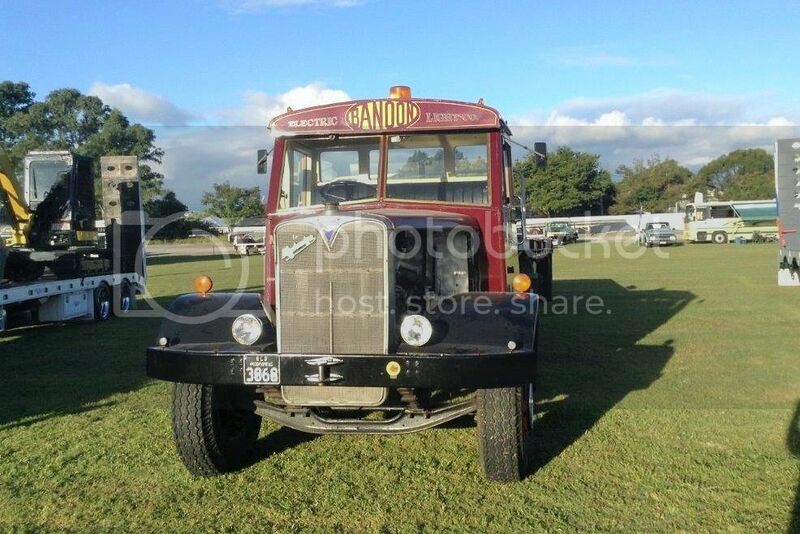 Its 4 headlamps and dividing strip down the grille could get it mistaked for a White Road Boss. 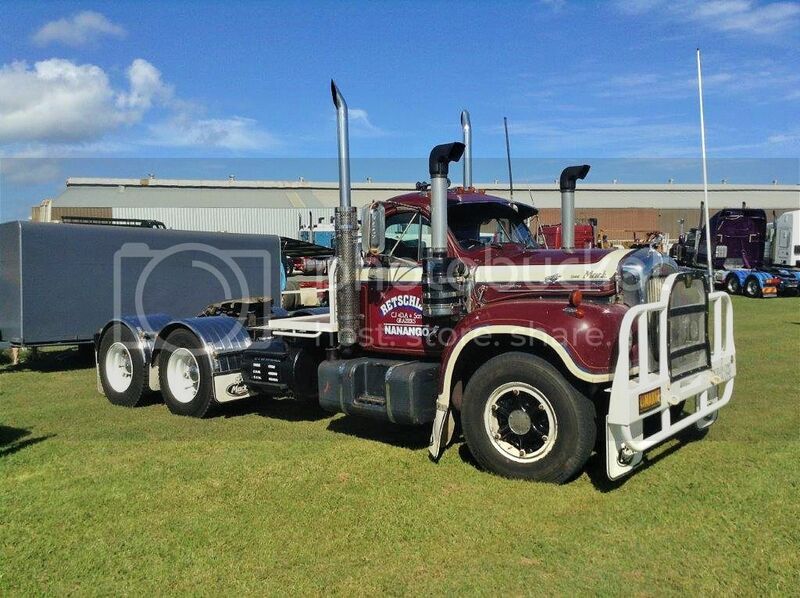 Another B series Mack, this time with single drive. Two old Leylands look to be of similar age, but note the different steering wheel positions and Paul's outline again.